Fire cider is the “it” drink when it comes to all-natural healing remedies, but the truth is, it’s far from new. The premise of using herbs in a powerful combination to rid your body of what ails you references back to at least the mid-1800s and most likely longer, though not recorded. So, what is fire cider and why is it considered a miracle cure during cold and flu season? Fire cider is a combination of herbs and aromatic vegetables steeped in apple cider vinegar. When combined, ingredients like garlic, horseradish, ginger, sage, thyme, cayenne, and other herbs help fortify and strengthen immune systems when they become compromised or vulnerable due to the common cold. One whiff of fire cider and those nasal passages start opening. Everyone who’s made or sipped it will agree it’s an acquired taste, but one fire cider fans agree is worth it. There are enthusiasts who swear by a shot of fire cider every day, like a daily vitamin. Start sipping fire cider at the first signs of a cold’s arrival by combining 1 part fire cider to 3 parts hot water. 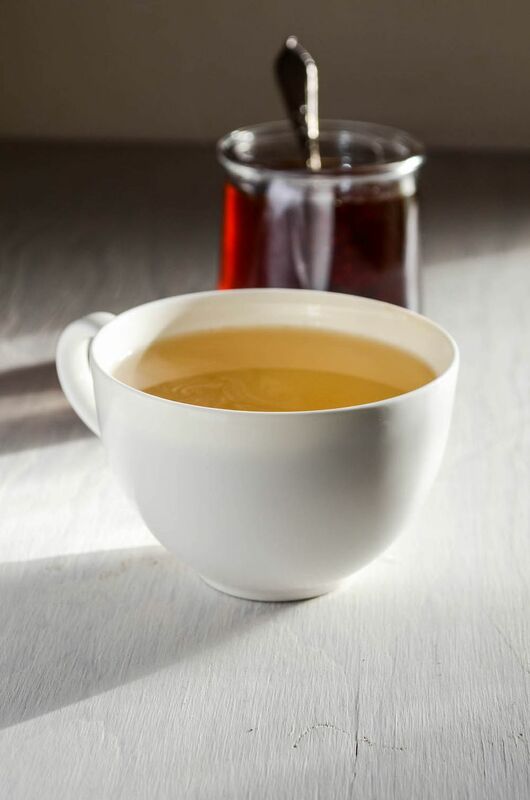 Some honey can help lessen the acidic punch and drinking it like this as a tea is more palatable and enjoyable. You can use maple syrup or agave if you want to keep your fire cider vegan. The base for fire cider begins with apple cider vinegar, a natural digestive aid. Choose an apple cider vinegar that includes the mother for maximum effect. As for the aromatics, horseradish (to aid with sinus congestion and headaches), ginger root (which helps with digestion and nausea and fights infection), garlic (with antimicrobial and antibacterial properties), and cayenne (supports a healthy cardiovascular system) are very popular. Raw onions may be included, too. Keep your dietary needs and preferences in mind when making fire cider. If you’re allergic to garlic, it’d be counter-productive to use it. As for herbs, sage reduces inflammation and is an antioxidant, while thyme soothes sore throats, upset stomachs, and coughs. To make a one quart jar of fire cider, you’ll need a total of twos cups of chopped ingredients. Aside from that base standard, the amount of each ingredient you’ll ultimately use is very flexible. Once you’ve got all your ingredients ready, the only thing you need to do is get chopping since fire cider is a no-cook recipe. This falls into the home fermenting category, a tonic that just needs time to develop its healing potential as the herbs and aromatics infuse into the vinegar. 2 cups apple cider vinegar, preferably with the "mother"
Combine everything in a 1-quart (4 cup) clean mason jar. Close tightly, give it a shake, and set the jar in a cool spot, out of direct sunlight. Give the jar a shake daily. The cider is ready to drink after one month of fermenting. You can simply pour it through a strainer as you need, or strain the entire batch at once (discard the solids). Generally, it’s best to let your fire cider ferment for a month, so it's a good idea to get fresh batches going in late fall. Of course, the urge might strike sooner to want to give it a try. In that case, be sure to let al the ingredients steep together for at least two weeks before you get sipping.